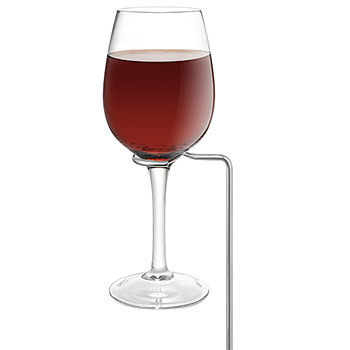 Wine Glass Outdoor Holder 2pc. Home > Barware, Beverageware and Bar Accessories > Wine Bottle Holders > Wine Glass Outdoor Holder 2pc. Perfect for campsites, picnics, backyards and beaches. 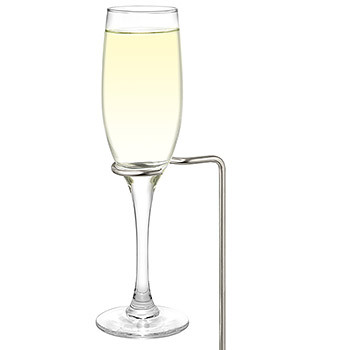 This simple but incredible holder works almost anywhere outdoors with both wine and champagne glasses.